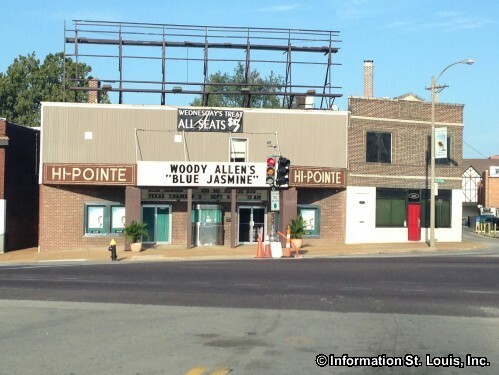 The Hi-Pointe Neighborhood is located at the western edge of the City of St Louis and is just south of Forest Park. It is considered part of the "Dogtown" area of St Louis. The boundaries of the Hi-Pointe Neighborhood are Louisville on the east, Dale on the south, the City limits on the west and Oakland on the north. Surrounding neighborhoods are Franz Park to the south, the Clayton-Tamm Neighborhood to the east, the Wydown-Skinker Neighborhood to the north. Forest Park is also to the north and St. Louis County and the community of Richmond Heights to the west. The St. Louis Public School District serves the Hi-Pointe Neighborhood. Dewey International Studies Elementary School is located on Clayton Avenue and is a Magnet elementary school. Foreign languages such as French, Spanish, German and Russian are integrated throughout the Preschool through 5th grade curriculum at Dewey Elementary. The school was built in 1917 and was designed by Rockwell M. Milligan, the St. Louis Public School architect from 1917 to 1929. The Charing Cross Branch of the St. Louis Public Library is conveniently located on North Skinker Boulevard for the residents Hi-Pointe. The St. Louis Public Library system has 15 branches, including it headquarters, located throughout the City of St. Louis. The Hi-Pointe Neighborhood has two unique features within its boundaries. 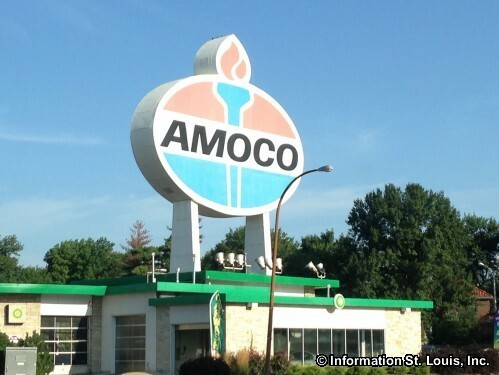 The first is the very visible and titled as the "world's largest" Amoco sign at the corner of Clayton Avenue and Skinker Blvd. Drivers can see it from Highway 64. 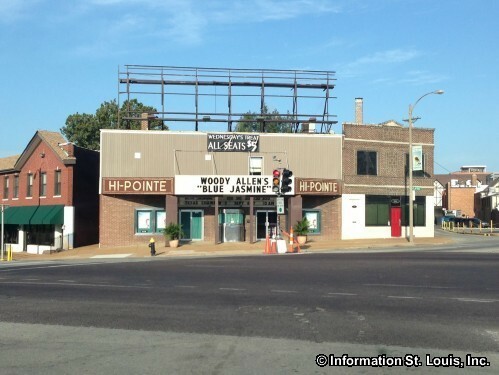 The second is the Hi-Pointe Theatre, built in 1922 and still showing movies like they did in the "old days" on its one big screen, in its one big auditorium!